This North Hollywood area coffee bar and breakfast caf has developed quite a following among breakfast lovers and coffee aficionados by offering unique home-style menu items and artisan-crafted coffees. Customers have fallen in love with the friendly staff and casual ambiance where pretentious attitudes are checked at the door. 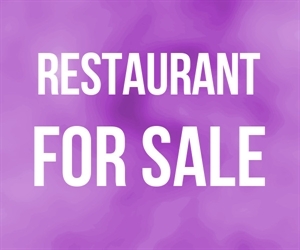 This quaint caf is perfect for the aspiring restaurant owner looking to take over a turnkey business in an up and coming community of young artists and professionals, or the established operator seeking to immediately grow their brand. The facility can accommodate up to 49 customers and includes a full kitchen, custom espresso machine, patio seating and parking. The business is only open until 4 pm providing additional opportunity for a new owner to capture weekday and weekend dinner or late night crowds. Location and Facilities: The facility leases for an attractive $2,100 per month, including common area maintenance expense, on a lease valid through April 2017 with a five year option to extend. The sale includes all of the business s assets including a full kitchen, custom Italian coffee machine, as well as the name, website and menu. Inventory estimated at $2,000 will be sold in addition to the purchase price at cost at close. Market Information and Position: The business is well positioned for growth as it is located in an up and coming area of the valley. The owners have stretched themselves thin by operating another business and have not been able to provide the attention it deserves to achieve its full potential. Rather they have purposely kept it a small and simple operation. Additional revenues could be generated by increasing operating hours to (1) include the early evening or late night on weekends, (2) by hosting evening events such as spoken word, poetry readings, art exhibits. Competition is considered low as few other similar coffee bars and breakfast cafes exist in the immediate vicinity.